Public parking is available on Worth Street between Broadway and Lafayette, one block east of Atera. 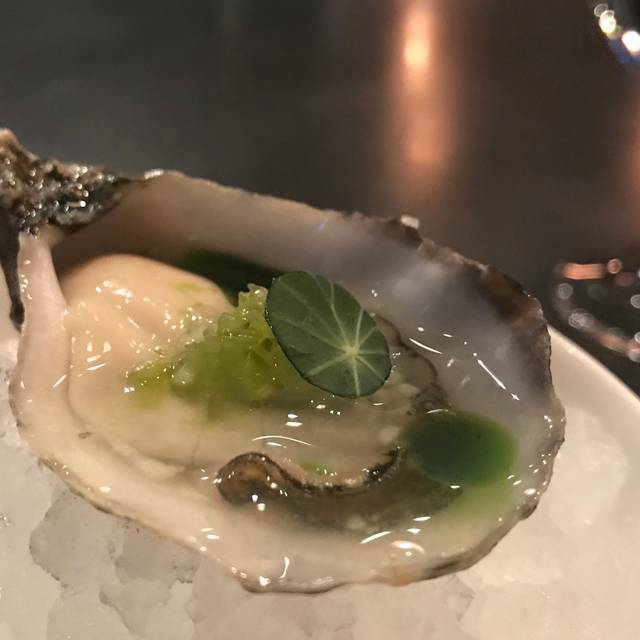 We can be reached by train on the 1/2 to Franklin St., A/C to Chambers St., the 4/5/J/Z to Brooklyn Bridge/City Hall, and the 6/N/Q/R to Canal St.
Atera honors the poetry of nature and creativity in pursuit of an immersive sensory dining experience. 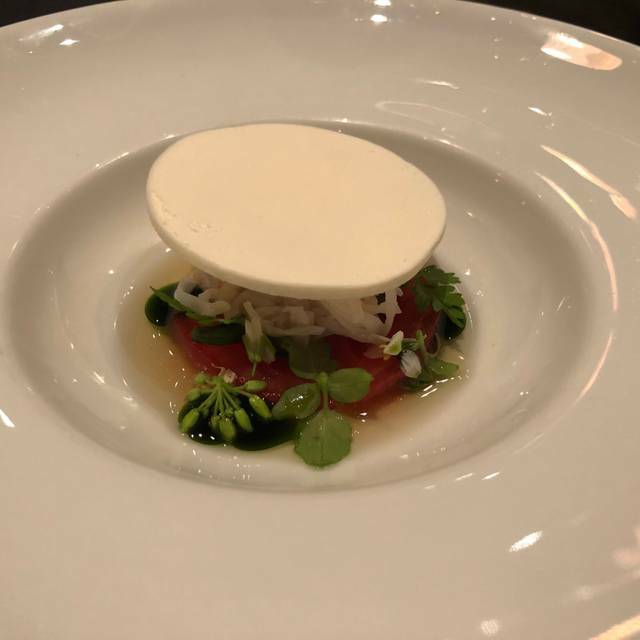 We offer a seasonal and continuously evolving tasting menu. Please allow 2½ hours for you and your guests. 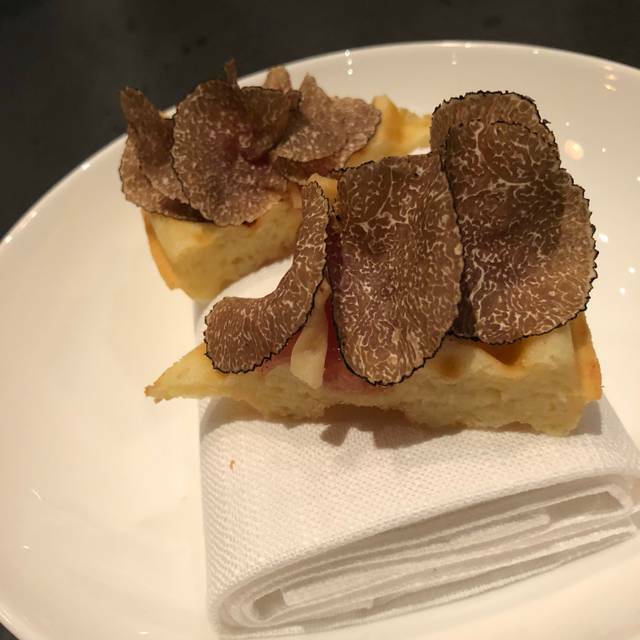 Celebrate Mother's Day at Atera!! Chef Emborg will create a special tasting menu in honor of the day, priced at $325 per person, including service. Lunch will start at 1pm and dinner seatings will be 6pm and 9:30pm. Amazing experience - absolutely outstanding! The food is extraordinary. Amazing! A true foodies dream! We will definitely be returning! Top class! Excellent. Superservice with a smile. A memory for life. Amazing for special occasions. Loved the Lychee wine! I travel from New Mexico to New York twice a year, primarily to dine at great restaurants. Atera is always the first reservation I make. I consider it the greatest restaurant in the U.S.
to write reviews. 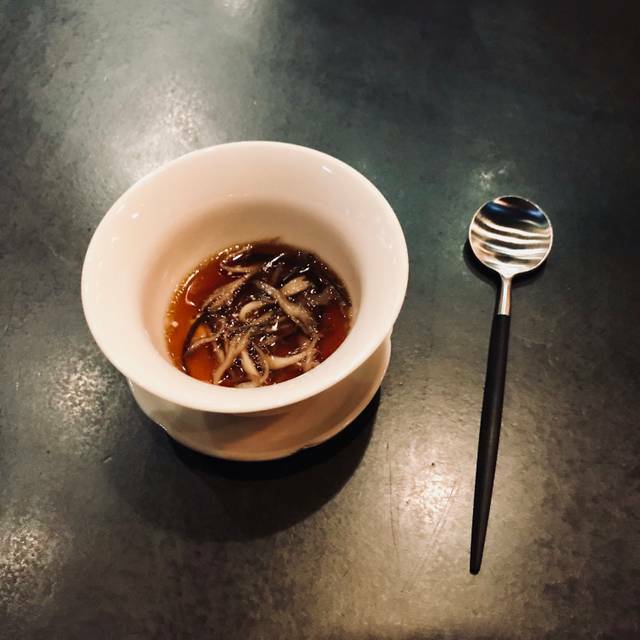 We’ve been to many Michelin starred restaurants around the world and honestly Atera blew our minds. We did not have one bad thing to say about the experience. Everything was perfection from beginning to end. From the food to the service to the wine pairings. The bar has now been set from herein out. Overall , Excellent , involves all your senses ! Atera made my birthday evening truly unforgettable. The food was stunning, but the experience stretched beyond culinary excellence. 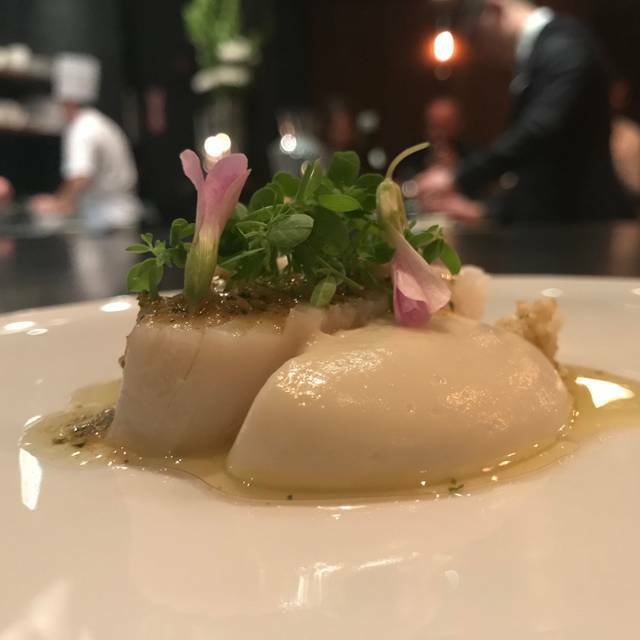 The ambiance and intimacy of the restaurant along with impeccable service made for an evening that seemed impossible to replicate. The dinner in many ways seemed meditative. Watching the chefs work deftly behind the counter, the team was in a dance between preparing and serving bites of heaven. The wine glasses filled, the courses swapped, the senses perked. We were thrilled and delighted. A splurge but amazing food and service. Left stuffed. I’m a New Yorker living in Memphis but manage to fly in frequently to enjoy things you can only find in NY. All I can say is that I ate at Eleven Madison Park earlier in the week, had an excellent meal, even toured the kitchen. But Atera blew me away. So much so that I ate there again 2 days later. Every dish is an explosion of flavors in your mouth. In fact they had just made changes to their menu; the previous one was outstanding as well. The Reserve wine pairing is expertly arranged and hits with every dish. The staff is perfection and they make you feel like your home. The rock and roll music playing in the background is a special added touch. Every detail with a purpose, created to give us the most exceptional dining experience. I walked away both times very content and happy; reminiscing about each dish and the great people who work at Atera. I am looking forward to the next time. Since the advent of virtual reviews, this is my first. Enjoy. We always have a wonderful time at Atera. The food, setting and ambiance are very unique and special. 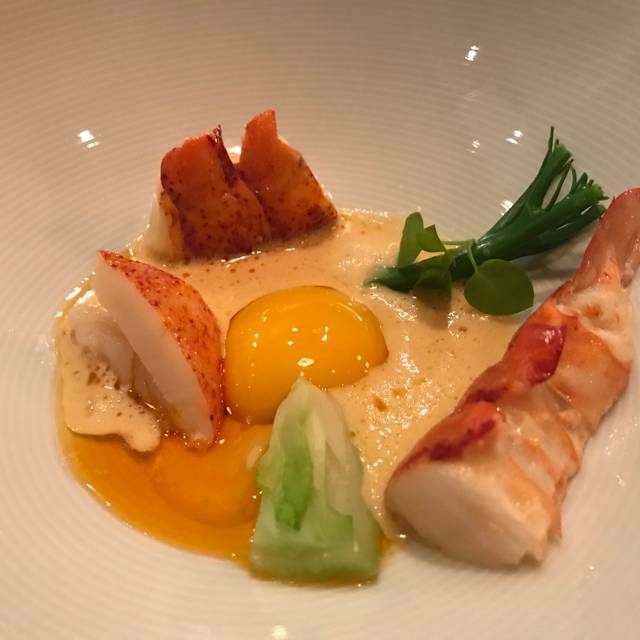 I strongly suggest Atera over comparable restaurants in New York. The attention to detail and overall immersion in food, and sensory delights is truly immaculate and cheerfully dazzling. If you choose to go here, you can hand your evening over to the team at Atera and you’ll be sure to be taken care of. 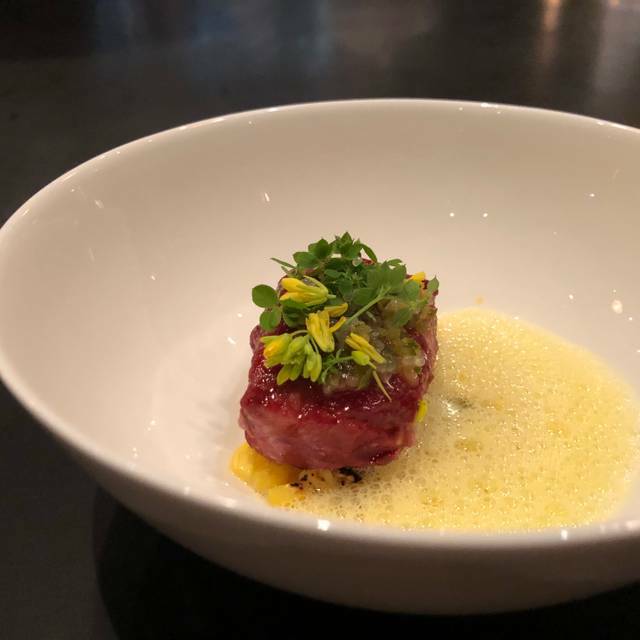 This is all without mention of the food but once the first plate hits the table, you’ll be in for an experience- inventive, precise, and playful. Every bite will have you grinning with joy. A true delight and pleasure. Service was exceptional as always, entire staff was so personable and provided such detailed service from the moment you walk in till you get you coat when you leave! Food was creative with many new dishes after dining often. Wine tasting was exciting with many new wines I’ve not tried previously. One of the best spots in New York. One of the best restaurant of NYC ! We had an outstanding sensory and culinary experience! Each plate is a piece of art. The wine paring was perfect as well. My daughter had a non-alcoholic pairing and each drink was a very original and creative mocktail playing with aroma and color. The Chef and his team were very welcoming and accommodate to any allergy or intolerance. 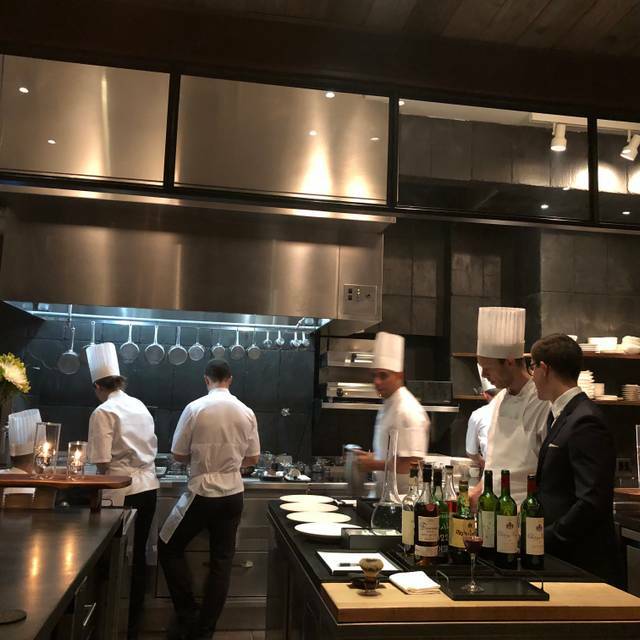 We loved the sitting around the kitchen that gives you a proximity with the Chef and a glance at the elaboration of each masterpiece dish. Still our prefered resraurant! Amazing food, fantastic temperance pairing. I can honestly say that this was maybe the best dining experience I have ever had. Relaxed atmosphere combined with incredible and attentive (but not stuffy) service, fantastic wine and incredible food. Every course was better than the last. We chose to do wine pairings and every wine was perfectly paired, very cool and unique and absolutely delicious. 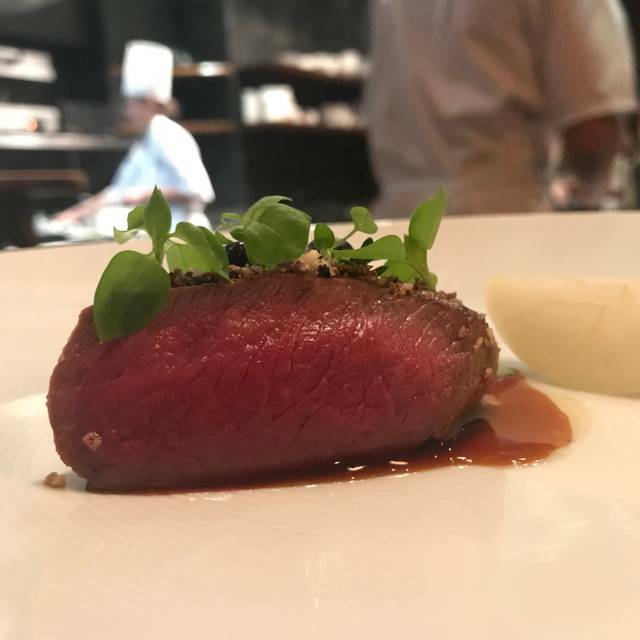 We kicked off our honeymoon in NYC with dinner at Atera, and i am so glad we did. It is expensive, sure, but worth it. We will be back. Fantastic experience!!! Most amazing food ever! Awesome. Cannot wait to go again. Third time we visited and every time they amaze us with the creative dishes and outstanding service. Perfect date spot and it’s nice to see them prep the food in front of you. I don’t usually write reviews; but my experience here has compelled me to do so. The food was mediocre for the price charged, though the wine selection was comprehensive. However, whilst chatting to the lady seated next to me, who was equally enjoying the chat, a server walked up to me and said I was not allowed to talk to her. The cheek and gall of the server ruined what was an already mediocre experience. I can not recommend strongly enough to avoid this restaurant. It was our anniversary & the Atera team/chef made it extra special!! Thanks you so much for the amazing experience & the singed menu. Much appreciated!!! Our third visit. The food gets better every time. Just fantastic and inventive. Be prepared for a marathon of a meal as dish after dish of delicious, inventive food is presented to you over the course of 3 hours! Unbelievable experience. The service was phenomenal. It was my husbands birthday and I put that in the notes of my reservation. Every single employee we came in contact with wished him a happy birthday. Every single one. And they printed special menus that said happy birthday as well. The wine pairing was amazing and they are very generous with their pours. Amazing experience. But I wouldn’t do it again. At this price point, there are other amazing places to eat in NYC that we prefer. It was a great choice to celebrate my birthday with my husband at Atera. The food, drinks, and service really made it a special experience. Additionally, my husband was recovering from oral surgery and the chefs were able to accommodate the harder to chew dishes. I’ve never done a temperance pairing before and thought it made the meal even better! Best birthday dinner ever! Service was impeccable and food was divine. I love the set up of the seating, chef’s table style. So special!